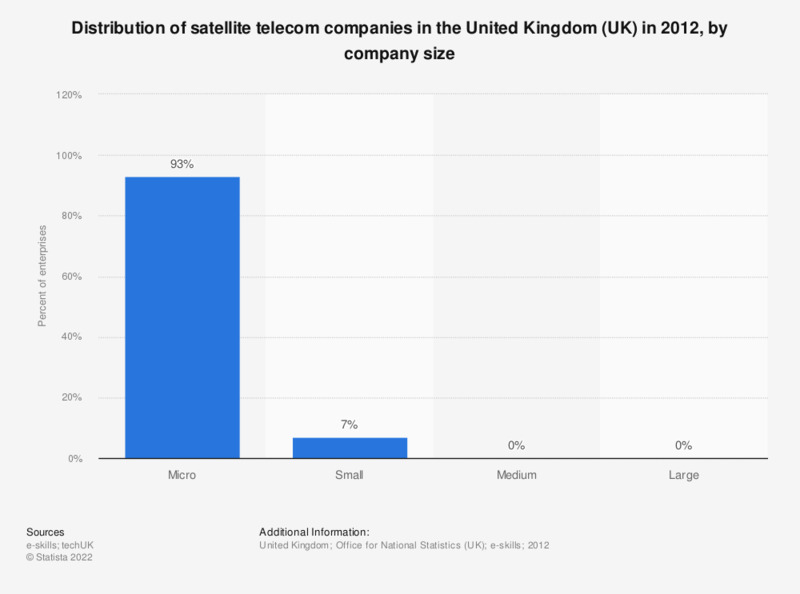 This statistic shows the distribution of satellite telecommunication enterprises in the United Kingdom (UK) by size. The sizes range from micro to large. In 2012, 93 percent of satellite telecoms enterprises were micro sized and consisted of less than 10 people.